The Welsh Liberal Democrat Assembly Member for South Wales West, Peter Black has called for the energy companies to come clean over the premium that they charge to customers who pay their bills by cheque. Mr. Black was reacting to a survey produced by Which? Which showed that on average customers who pay their dual-fuel bills by cheque are being charged almost £100 a year more than those who pay by direct debit. “While nobody disputes that it must cost more for the energy companies to process a cheque payment rather than one that is made by direct debit, there is real doubt that it costs an average of £100 a year for each and every customer who does so. These companies need to come clean over cheque processing costs. “Many customers already suspect the energy companies of ripping them off by pushing up prices as quickly as possible when wholesale prices rise, but dragging their feet when wholesale prices fall. This latest research will simply confirm the suspicions of many people that the big power companies are abusing their dominance of the market. Kirsty Williams, leader of the Welsh Liberal Democrats, writes: "we came to an agreement with the Welsh government to start the funding for a Pupil Deprivation Grant – the Welsh equivalent of the Pupil Premium, one of the key Welsh Liberal Democrat manifesto pledges. We have also managed to convince the government to introduce an economic stimulus package worth £38.9 million. "Like the Pupil Premium in England, we are assigning funding using the Free School Meals indicator – because it targets pupils directly and because of the strong link between Free School Meals and low attainment. This means that from April 2012, every child on free schools meals will attract an extra £450 of funding – no matter where they live, or what school they go to. 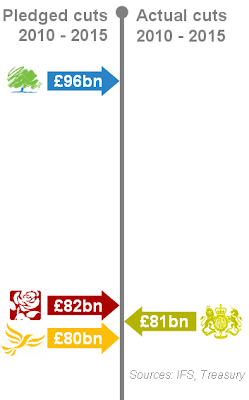 This is a total Pupil Premium spending of £32 million, of which £20 million is brand new money for the education budget. "Just two weeks ago the Welsh government lost a vote on its spending plans for the next year. The Welsh Liberal Democrats have consistently made clear, as I said in my speech at the Federal Party Conference in Birmingham, that we would only support a budget if there was substantial changes that offer more support for children from poorer backgrounds. I am proud to announce that we have achieved that today. "On the 6th of December there will be a vote on the final budget. If the government’s budget was not to pass, an emergency provision would kick in whereby it would be cut by 5%. The consequences for Wales would have been dire. The Welsh Liberal Democrats have proven that we are a responsible party that is willing to make the big decisions in the interests of Wales. "We may have a small group in the National Assembly, but our influence in these budget negotiations will have a big impact on children’s lives. Thanks to the Welsh Liberal Democrats, we are making huge steps in starting to break the link, school by school, community by community, between poverty and achievement that has dogged our education system for so long. "The £38.9 million economic stimulus package we have also agreed is absolutely vital if we are to take action to tackle joblessness using initiatives to build valuable skills. But let me be clear, this is purely an agreement about the budget for next year. With Labour lacking the 'comfortable majority' they predicted before the election, the Welsh Liberal Democrats have had the opportunity to influence the direction of our country. I am proud we have today done this in such a positive way." Liberal Democrat Leader and Deputy Prime Minister, Nick Clegg has announced a £1 billion pound Youth Contract to tackle youth unemployment, which aims to ensure that all jobless young people are earning or learning again before long-term damage is done. In Swansea, 1,905 18-24 year olds are currently in receipt of Jobseeker’s Allowance and would stand to benefit from the Youth Contract. The figure for Neath Port Talbot is 1,305 whilst in Bridgend 1,265 18-24 year olds receive JSA and could potentially benefit from this initiative. Starting next April, the Youth Contract will provide at least 410,000 new work places for 18 to 24 year olds into work over the next three years. This includes 160,000 wage subsidies and 250,000 new work experience placements. “In these difficult times Liberal Democrats are doing the right thing and making sure we help those who need it most. “If young people are out of work, the consequences of that will be felt for decades afterwards. We need to ensure that the young people of today do not have a false start. “The Youth Contract will help those who need it most through advice, support, training and by giving people in Swansea, Neath Port Talbot and Bridgend the experience necessary to be successful in the work place. “While we’re clearing up the economic mess that Labour left behind, the Coalition Government is ensuring that our children do not bear the consequences of Labour’s mistakes. “Youth unemployment is an economic waste and a slow-burn social disaster. “We can’t lose the skills and talent of our young people – right when we need them most. We can’t afford to leave our young men and women on the scrap heap. We need the next generation to help us build a new economy. “The aim of the Youth Contract is to get every unemployed young person working or learning again before long-term damage is done. "It's clear that the Lib Dem brakes on the Tories are as effective today as they were back in the distant days of May 2010. "Yes, you read that right 'making money for the Government'. Conservatives were cheered in September when the Telegraph splashed on claimes that the 50p rate was actually costing the Treasury half a billion pounds, rather than raising any money. "FullFact.org checked this claim and found the jury was out on whether the IFS had indeed found that the tax was not making the Exchequer any dough. "Accountancy Age posted an excellent analysis of the 50p rate and concluded that given all the uncertainties the only clear thing was that the decision would ultimately be a political rather than an economic one. "Francis Maude said on Marr this morning that if unions continued to strike then the case for increasing the threshold on ballots 'will become more pressing'. "Yet within an hour, Danny was making clear the Libs were much less keen. He confirmed the issue was under review but said that changing the law was 'not the main response to these strikes'. "Vince Cable has made plain that he does not want to embark on a union-bashing round of sub-Tebbit strike laws. He would prefer a new duty to keep services running rather than any threshold rise for ballots. "Cable appears to have trounced Steve Hilton and some others in Number 10 who wanted the 'fire at will' plans proposed by Beecroft. "Lord Heseltine, who don't forget has the PM's ear on many matters, was scathing on the Politics Sbow today about the idea that making it easier to fire people would help the economy. "There, in a nutshell, is the Lib Dem/Cameroon credo that guides this Coalition and puts a brake on more radical Tory policies. "No wonder many Conservative backbenchers are frustrated." *The Deputy Leader of Labour-controlled Neath Port Talbot made the accusation in the budget discussion at the last council meeting, in a closing speech which allowed no opportunity for rebuttal. William Powell AM, Welsh Liberal Democrat Shadow Minister for Environment and Sustainable Development, is calling on the Westminster Government to reconsider its recent announcement of a reduction in Feed-in-Tariffs (FITs): the price that is paid to people who generate their own electricity and sell the surplus back to the National Grid. Under the current FITs scheme, those who fit solar panels to existing properties can sell any surplus power back to the Grid for 43.3p/KWh. The Government is proposing to reduce this rate to 21p/KWh for installations registered and fitted after 12th December, 2011. On the wider UK front, the Local Government Association and the LGA Liberal Democrat Group are lobbying the Government over the proposed reduction in the Feed in Tariff rate for solar power on 12th December. While they appreciate the hard work done by Lib Dems in government over renewable energy, such as allowing local authorities to sell energy to the national grid (previous Conservative and Labour governments banned councils from doing this); they are calling on the government to protect community run schemes - including those run or planned by councils - by extending the cut-off date for these schemes to the end of the financial year. We accept that the tariff had to be cut but are concerned at the short notice given for the reduction. Much-loved member John Moth died in hospital on November 8th 2011. We asked Sheila Waye, a fellow carer for children, to write a short appreciation. 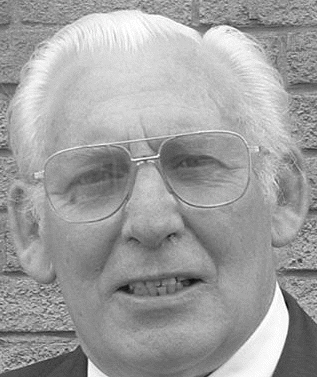 John Moth, aged 77 years, was a very well-known local figure in Neath and played an active role in his Church, The Mission Hall. John will be remembered for the many altruistic endeavours in his life, not the least of which were his 15 years in a foster parent capacity. In political circles he was a helpful, staunch and active member of the Welsh Liberal Democrat Party always giving of his time willingly. Perhaps the most fitting remembrance for John, particularly at this time of the year is that John was an ex-army man. His military career, was noted by the fact that he served in Korea, serving his country and his fellow soldiers in the Catering Corps. John Moth had an immense impact on all those who met him, touching every life in his own inimitable way. The Welsh Liberal Democrat Assembly Member for South Wales West, Peter Black has added his voice to calls for the Westminster Government to reconsider its recent announcement of a reduction in Feed-in-Tariffs (FITs): the price that is paid to people who generate their own electricity and sell the surplus back to the National Grid. Under the current Feed-in-Tariffs scheme, those who fit solar panels to existing properties can sell any surplus power back to the Grid for 43.3p/KWh. The Government is proposing to reduce this rate to 21p/KWh for installations registered and fitted after 12th December, 2011. "The Welsh Liberal Democrat Group in the Assembly are concerned that this proposed change will undermine the Government's commitment to reducing our carbon footprint and the promotion of renewable energy," said Mr. Black. "It could act as a major disincentive for families and those who run community facilities to fit solar panels, and seriously jeopardises the UK's ability to reach its renewable energy targets." "I am also concerned at the impact of these changes on local jobs. One local electrical company who contacted me expressed serious concerns about the speed with which this change is being implemented. He said that the backlash from customers has been massive already; with many cancelling, and requesting refund of their deposits. At the same time, his company are attempting to secure two to three times the proposed levels of stock, to allow them to get through as many customers as possible within the time allocated. He did not know if the company would survive the week." "There is no doubt that the FITs scheme has been a victim of its own success, with nearly three times as many applications received than anticipated, making the initial rates unsustainable in the medium to long term. However, I believe that by making this premature announcement, while the consultation on FITs reform is still underway, the UK Government is risking our long term renewable energy requirements for short term savings. The Government needs to rethink and I very much welcome the fact that the Welsh Liberal Democrat Environment Spokesperson, William Powell has written to Chris Huhne, the Secretary of State for Energy and Climate Change, to urge him to reconsider." Liz Lynne, Liberal Democrat MEP since 1999, and a former MP for Rochdale, has announced her retirement from active politics next January. Her place in Brussels will be taken by Phil Bennion.